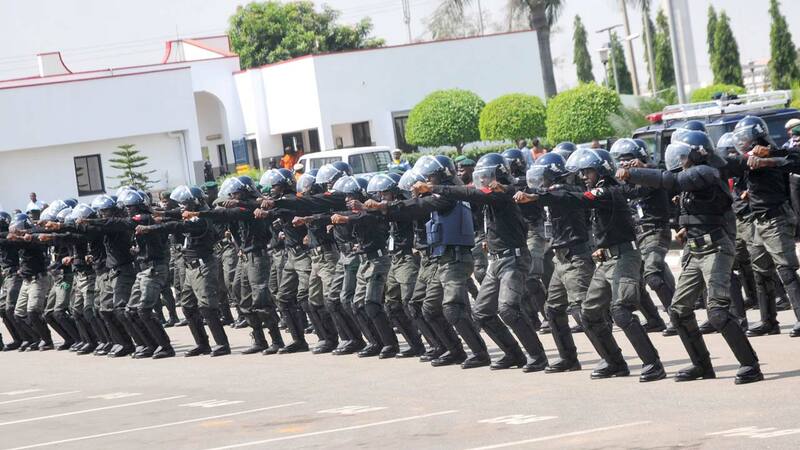 The Inspector-General of Police (IGP), Mr Ibrahim Idris, has deployed the Assistant Inspector-General of Police in charge of Zone 7, Taiwo Lakanu, to lead a police intervention force to Kaduna to ensure that normalcy returns to the area. At least, 55 people were killed on October 18 at Kasuwan Magani in Kajuru Local Government Area of Kaduna State. A similar crisis in February left more than 10 people dead in Kasuwan Magani, while 65 suspects involved in the crisis were arraigned in court but the case is still ongoing. He said that the police deployed included four Police Mobile Force (PMF) units, Counter Terrorism Unit (CTU), Conventional policemen, Federal Special Anti Robbery Squad (FSARS), Intellegemce Response Team (IRT) and Technical Intelligence (TIU) among others. Moshood said that the operations would cover the entire Kasuwan Magani and its environs and other flash spots in the state. “The intervention force will be working in synergy with the Kaduna state police command to ensure that peace and normalcy returns to the area. “To achieve success, the force will be proactive and strict in the enforcement of its mandate, police standard operations procedures and rules of engament,” he said. He said that the force would carry out a 24 hours surveillance and patrol, stop and search, continuous raid of identified criminal hideouts and black spots. The spokesman said that operation would cover communities, towns, villages, vulnerable points, government and private infrastructure. He enjoined traditional rulers, religious leaders, politicians, parents and guardians to support the police in the discharge of their responsibilities. Moshood said that 22 suspects directly involved in violence have been arrested and are in police custody assisting the police in the investigation. The spokesman said that some prominent personalities kidnapped during the violence have also been rescued and reunited with their families. Meanwhile, the Kaduna State Government, on Sunday, said the imposition of a 24-hour curfew on Kaduna metropolis and environs was a preemptive measure to avert breakdown of law and order. Mr Samuel Aruwan, Senior Special Assistant on Media to Gov. Nasiru El-Rufa’i, said that the action was based on the advice of security chiefs in the state. He said that the government would give details on the security situation later. The latest crisis was said to have began at Mararaba Rido, and spilled over to Sabon Tasha, Tudun Wada, Central Market and Ahmadu Bello way, the city center. A resident of Mararaban Rido, Mrs Hanatu Simon said that the issue began at a Church in the area where a man was caught suspiciously recording the pastor’s sermon with his phone. Simon said that the church officials reported the matter to the police and the man was arrested and taken away by the police. “However, around 3 pm, we heard gun shots around the market area with people running in all directions, houses were being burnt and everyone was running for his life. “Although military and police officers are all over the place, we still hear gun shots all over the place,” she said. At Sheikh Abubakar Gumi Market, a trader, Ibrahim Ya’u said that it was a spontaneous reaction as people “just started running when they heard there is crisis in town. Some youths who reportedly blocked the busy Nnamdi Azikiwe Expressway and Ahmadu Bello Way burning tires, were later dispersed by security agents. “In the pandemonium, a car ran over my brother, a fruit seller at Lagos street. We are trying to get the police to help us take him to the hospital,” a resident, Malam Abubakar Abdullahi, said. In Janruwa community, a resident said that youths there had barricaded the road, stopping and searching vehicles coming from both direction. Stranded commuters from across the city were seen trekking to their destinations as vehicle owners kept off the roads. The city is calm after the initial pandemonium, with security agents deployed to strategic areas of the metropolis keeping vigil to avert further crisis.